They are looking for Ruby's father. The Quality of Silence by Rosamund Lupton is a 2016 Crown publication. Alaska. Its beauty contrasts with the dark, brutal, bitter cold, making it the perfect backdrop for this gripping environmental thriller which is coupled with a story of undying love and devotion. Yasmin has traveled to Alaska in search of her husband, Matt. She has brought her deaf daughter, Ruby along, believing deep in her heart that despite evidence to the contrary, her husband was not a victim of the deadly fire that wiped out an entire village. Knowing no one is looking for Matt, Yasmin and Ruby take off across Northern Alaska, in one of the worst winters on record, determined to find her husband. Not only will Yasmin have to contend with weather conditions few humans could endure, she feels a prickly sense of danger, as though someone is following her, trying to prevent her from making it to her destination. Did Matt know something about the fire someone wants to keep quiet? This story has a several interesting layers to it. On one hand, we have Yasmin, who is unwavering in her belief that Matt is alive, and rises to the occasion, showing a type of grit only sheer determination and a refusal to give up could pull off. Yet, all the time she is battling the elements, she is also battling an internal struggle involving the state of her marriage, which has hit a rough patch. But, the story also features the fearless and brave ten year old, Ruby, whose deafness accentuates an added vulnerability, but in reality, it could be what makes Ruby so strong, so pragmatic and observant. Ruby’s narrative plays a key role the way the reader views the various aspects of this incredible landscape. She has absorbed every single thing her father has shared with her, using that information to help guide her mother and to restore Yasmin’s faith in Matt and their marriage. In this way, the novel is a beautiful story of familial love, a bond between parent and child and husband and wife, as each member gains a new perspective on their relationship as they face incredible adversity. The plot is centered around ‘Fracking’, the danger to the environment that it poses, and the motives behind the argument for tapping down that far underground for oil. All these elements combine to create a taut story of suspense, adventure, greed, and danger, as well as a tightly woven family drama. The author does an incredible job creating the Alaskan climate, bringing both its beauty and its harshness into focus. As awesome as the images of it appear in pictures and on television, I don’t think I’d survive living in Alaska! The only downside here, is that some parts of the story are just too unrealistic, but the atmosphere is so tense, I willed those negative thoughts away and focused on the what was working. Ruby’s characterization, the various tools she uses to communicate, is also part of what makes the story poignant and her mettle so impressive. But, thrumming in the background, is that pesky feeling that something is terribly wrong, that the elements are not the only thing Yasmin and Ruby should be afraid of and that knowledge haunts their journey from start to finish, until the all the pieces of the puzzle finally snap into place. I was so impressed with this book, I wanted to see what else this author has written. I was surprised that I had already read one her books. I didn’t make the connection until just now, because I think I had it mixed up with another book with a similar title. But, sadly that means I only have one more book to read by this fabulous author. I hope to hear from her again soon!! 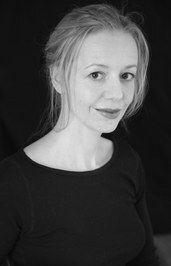 Rosamund Lupton is the author of Sister, a Sunday Times and New York Times bestseller and a bestseller in Europe. Published in the UK by Little, Brown Book Group, Sister has been translated into over thirty languages and has international sales of over 1.5 million copies. It was the fastest-selling debut of 2010 by a British author, a BBC Radio 4, Book at Bedtime and was winner of the Richard and Judy Best Debut Novel of 2011 award and the Strand Magazine Critics First Novel Award. Film rights of Sister are currently under option with Studio Canal, to produce with Kevin McCormick of Langley St Pictures. Emily Blunt is attached to star and the script is in development. Lupton's critically acclaimed second novel Afterwards also went straight into the Sunday Times bestseller lists and was the No. 2 Sunday Times fiction bestseller of 2011, with UK sales alone of more than 200,000 copies. 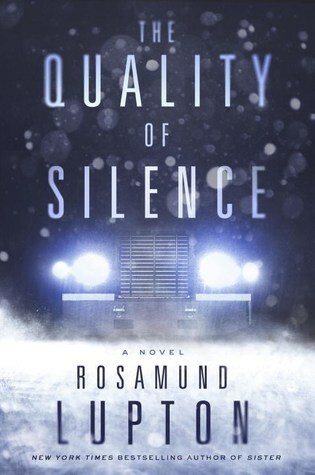 The Quality of Silence is her third novel.